Home / Adam Greenfield / Poetry LP! 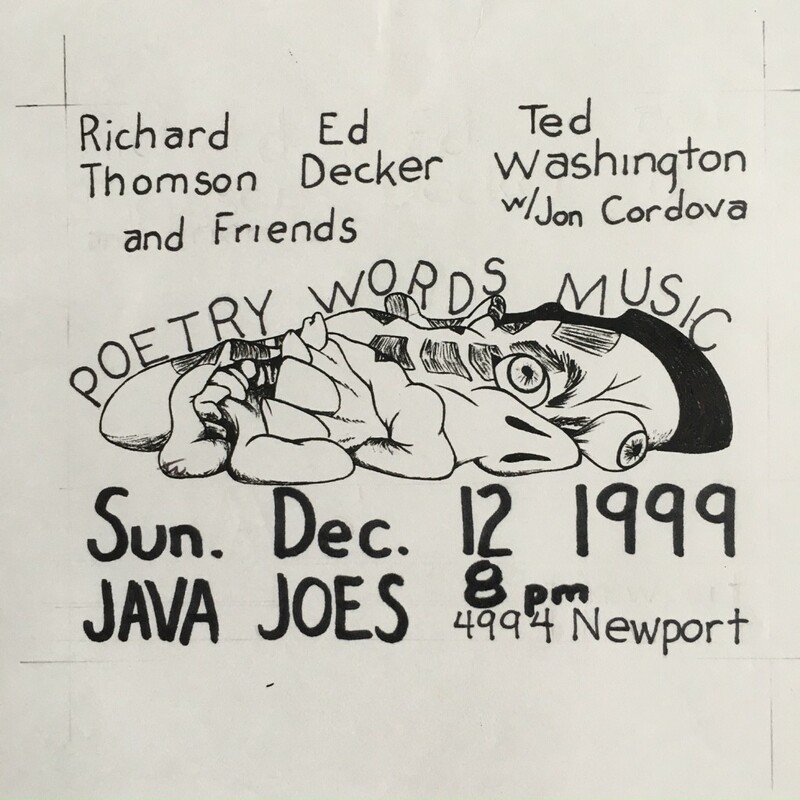 The birth of the long play format poetry performance for me began in 1998 at Java Joes. 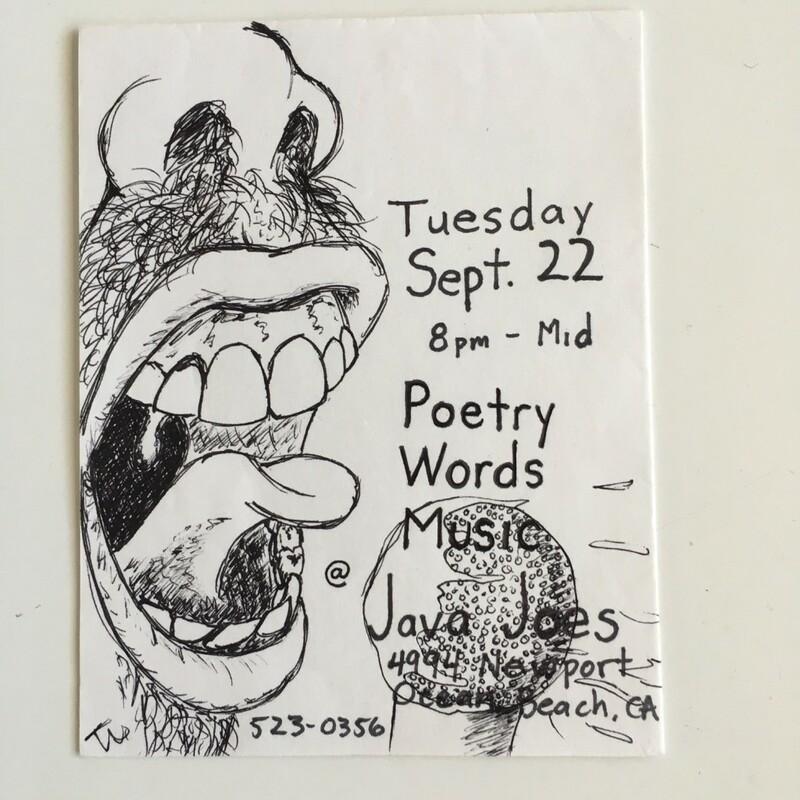 I had tired of the 3 – 5 minutes poets are normally relegated to at slams and open mics. I wanted to talk to the people in the audience, develop a story line and arc with the poetry. I also wanted to include music with my presentation and that was impossible in the open mics. 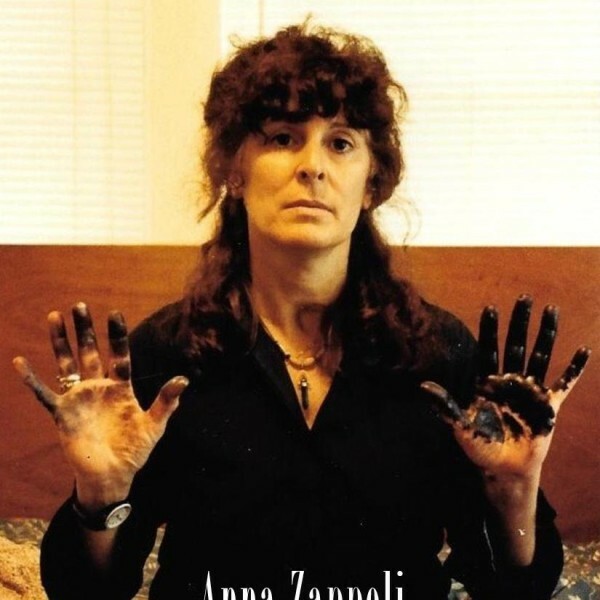 Featured poets had time to do these things and since at that time I was an unknown and unproven poet and performance artist it was hard to justify to those in charge of the poetry events to give me that luxury. I wasn’t alone in this sentiment; Edwin Decker had just started writing a column for SLAMM and Richard Thomson had just published his first book of verse Freedom Is A Bullet, and they wanted to do the same thing. Joe was willing to give us a try on some slow Tuesdays. The shows were fun and loose. We divided two hours into twenty minute slots and round robined our way through the night. We tried all kinds of things, story telling, we read together, micro-plays and musicians. It worked, people came and we got to do more shows. We gathered our friends and brought them into the party, and they were parties. There was nothing to lose, no reputation to burn, no expectations, just do your thing. These type of events don’t seem to happen anymore with everyone being so concerned with the bottom line. I want to thank Joe for allowing us to grow and gain experience. Thank you Joe. Well here we are now years later with varied reputations and a space to perform. Thank you Whistle Stop. 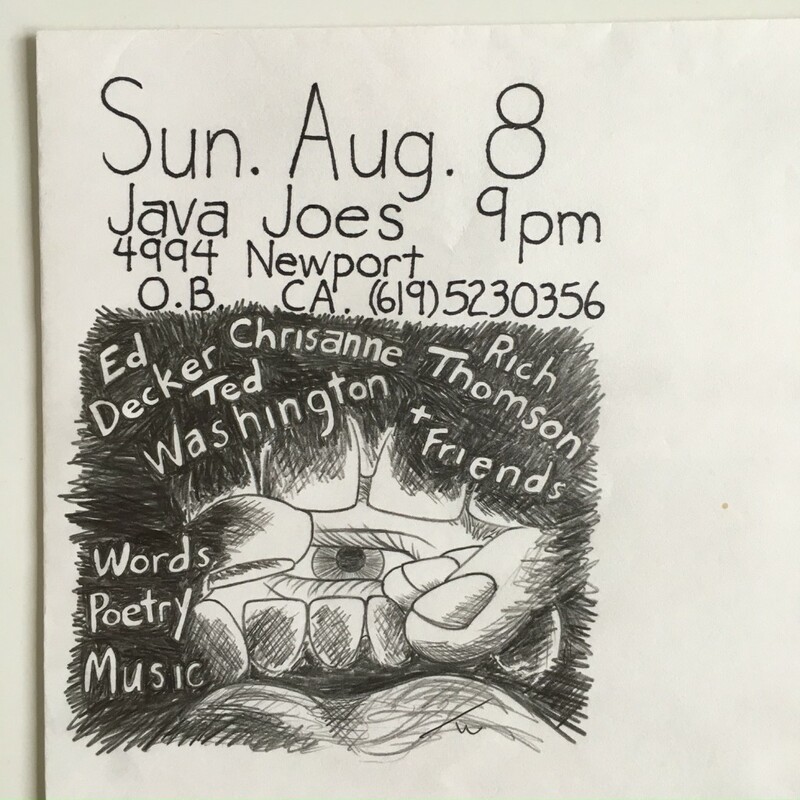 Most of the writers on the bill have been published by Puna Press and all are friends of mine with a history of great writings and performances. I met Lizz Huerta when she ran the women’s open mic at Voz Alta back when it was located on Broadway. 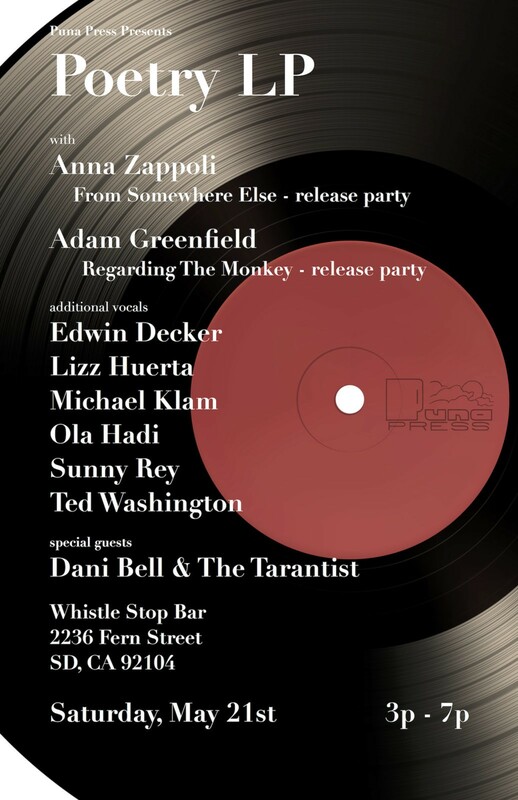 Lizz is a regular of the So Say We All series and is familiar with the space and the LP format. 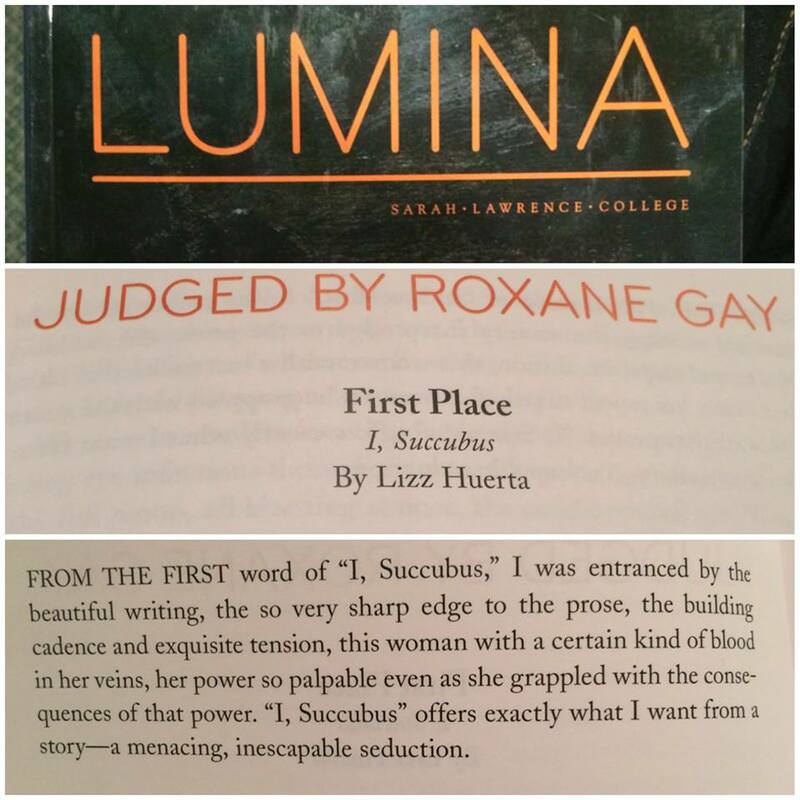 She recently was awarded first place in the Lumina Fiction Contest! I met Sunny Rey at the SD Public Library downtown during the local authors exhibit. 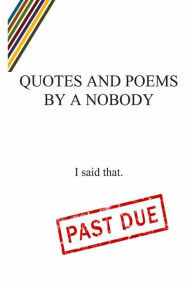 Her book Quotes and Poems Of A Nobody is awesome and her readings are deep and personal. You can get more insight here in an article from San Diego Free Press. I have no idea of what will transpire during the show and that is sweet! I have no idea of what I am going to read, shout, swear or whatever. Going to Death Valley in a few to think about it. Come on out and see if this works.